Mr Nawti is back! Olu Maintain returns on with a spanking new single entitled “Ewo”. 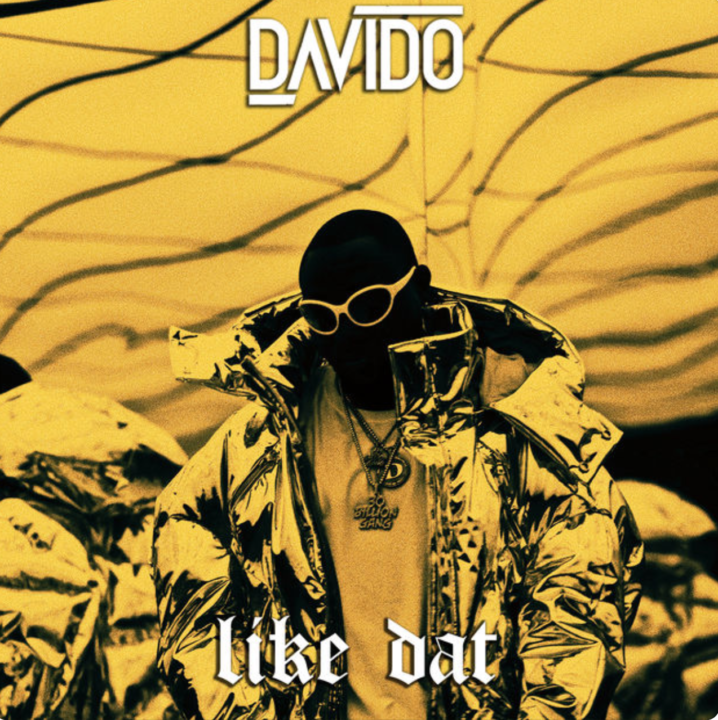 He features superstar rapper – Ice Prince on the turn up anthem. 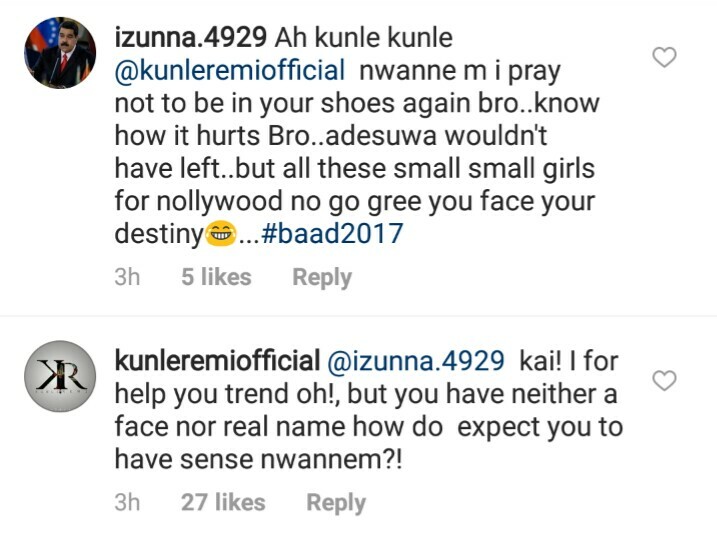 Actor Kunle Remi, Adesua Etomi’s alleged ex posted a beautiful loved up photo of Will Smith and his wife, but a follower found it necessary to troll him for ‘losing’ Adesua! He is Oyekunle Oluwaremi Opeyemi, popularly known as Kunle Remi, one of the hottest, fast rising actors in Nigeria. The Ekiti-born model, TV host and Gulder Ultimate Search 2010 winner bagged a degree from the New York Film Academy, Los Angeles. 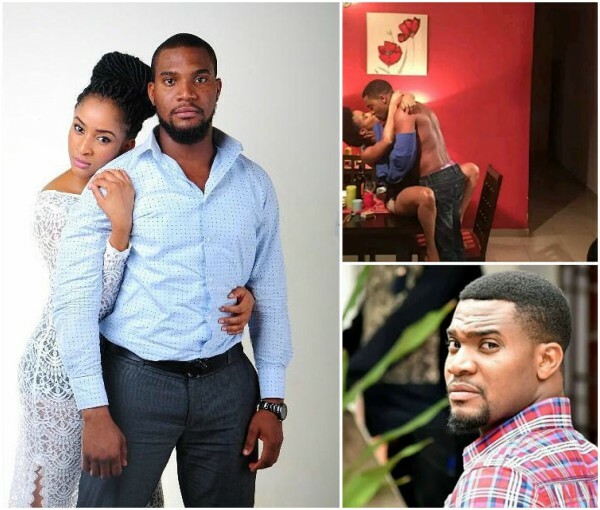 He has had his own fair share of romance-tinged rumours, as with his good-looking Nollywood male peers, allegedly dating The Wedding Party star Adesua Etomi before things went downhill between them. On the movie “Alter Ego”, how would you describe working with Omotola Jalade Ekehinde? Working with Omotola was a good experience. She is also a professional and really intelligent. I have been acting for 6 years now since 2011. You are considered a very handsome man – are you conscious of your looks and how often do you get compliments? My looks are there already and I can’t do anything about that. 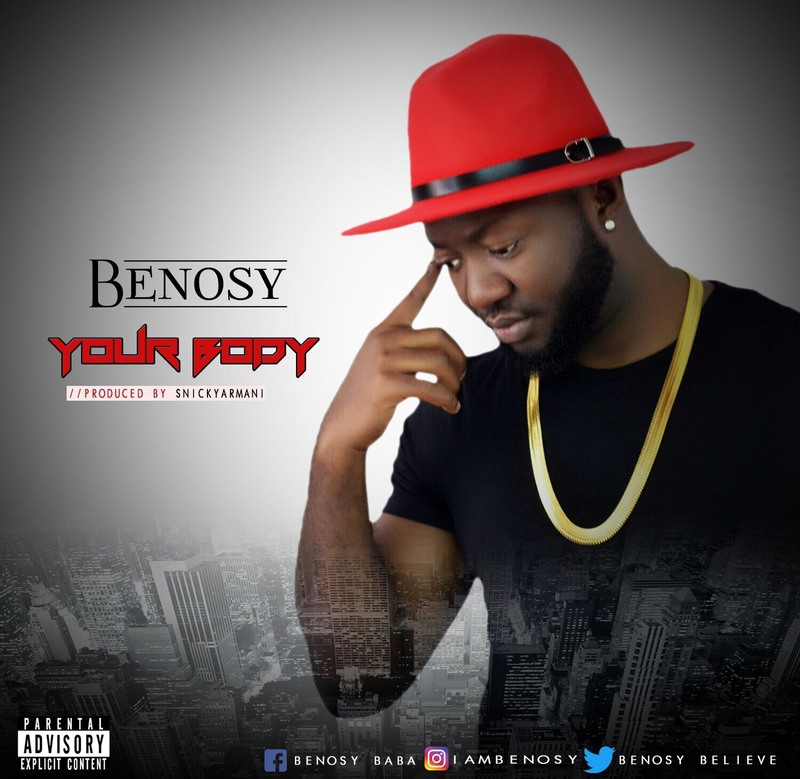 Moreover in this business, your looks are variable to change (You don’t own it). When I get compliments, I appreciate them. Who are your favourite local and international actors? My favorite local actor is the actor I am becoming and on the international scene, I don’t have a favourite but I love the work of a few great actors. What plans do you have to become a sought after actor? I don’t have any plan(s) to become the next sought after actor because that sounds more like a thing of the moment. I am working, growing and improving so that I can be a sought after till I retire which means when I die. Those who ply the Adekunle to Jibowu bridge would know the traffic warden. She controls the traffic from St.Agnes junction. Her daughter is so pretty! 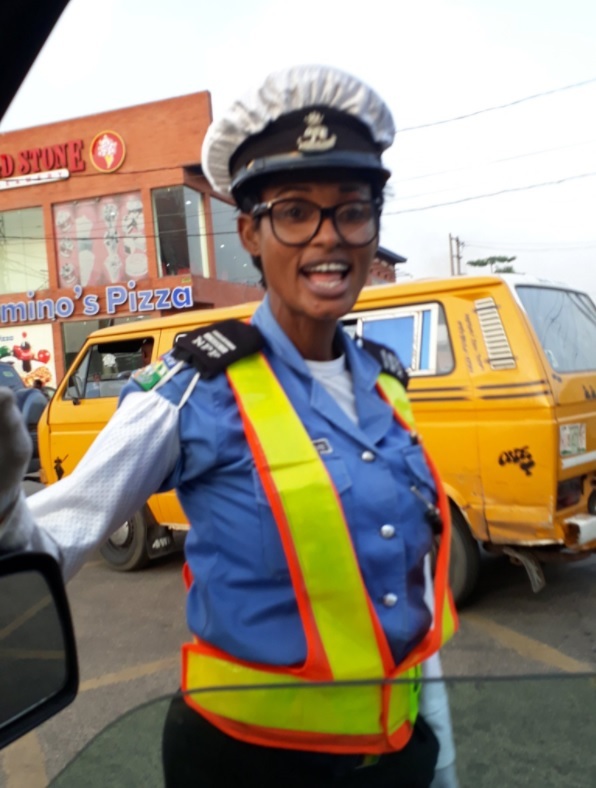 The police traffic warden attached to Sabo Police Division in Lagos, Insp. Josephine Ogene, was was sometime back honoured by the DAAR Communications for her outstanding performance in traffic management. Mr Ambrose Shomide, the Managing Director, Radio Services, Daar Communications, the owners of Raypower, AIT and Faaji FM station, presented the award to her while controlling traffic at St. Agnes Junction, Sabo-Yaba Road, Lagos. The about 180 seconds while the award ceremony lasted, motorists and members of the public watched with admiration. Shomide said the award was part of the organisation’s Corporate Social Responsibility to honour people, who had distinguished themselves in their jobs or chosen careers. He said that the organisation received many calls, requesting for an award for Ogene as the number one traffic warden in the state. “While we were decorating her, motorists and others who had seen her performance, were singing her praises as number one traffic warden. “That shows that our choice of her for the award was not wrong; people testified that anytime she is on duty, no matter the traffic situation, she clears it within a short time,” Shomide said. In her response, Ogene, who had put in more than 20 years on the job, told newsmen that she enjoyed controlling traffic and the appreciation she received from people passing or motorists. “I feel so happy doing this job. It gives me more joy when people appreciate me on duty. 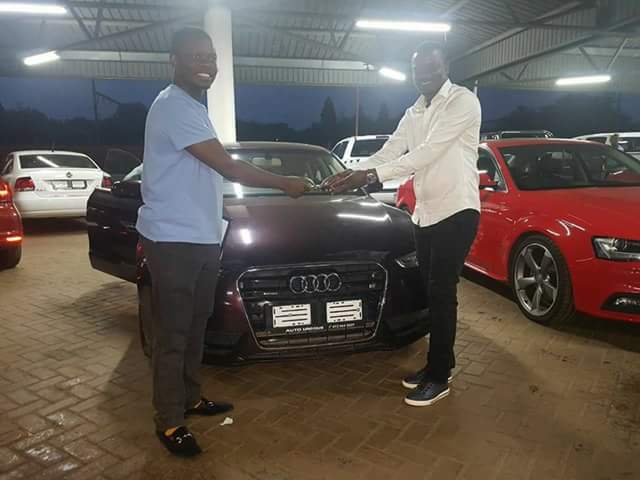 South Africa-based Malawi pastor and founder of the Enlightened Christian Gathering, Prophet Shepherd Bushiri, surprised two members of his media team, Ephraim Nyondo and Gerard Kampakaniza, with state of the art German cars as a reward for their hard work. 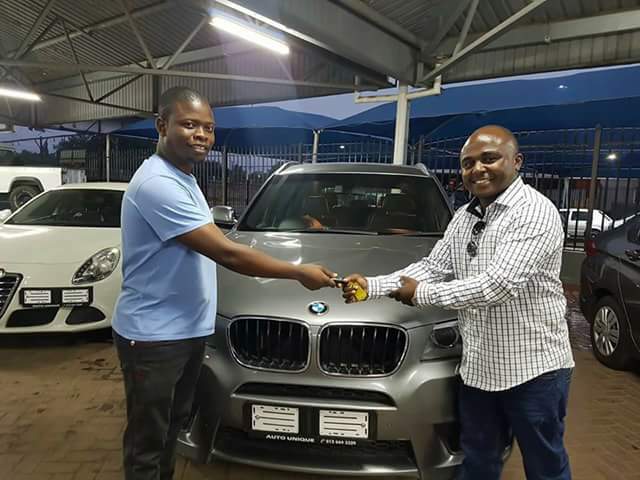 The BMW X3 reportedly cost 450,000 Rands each. “I can’t claim I deserve this. BMW X3, R450 000. It’s all because of God’s grace. And again, it’s also because I work for a Man of God who has a heart for his people; his sons, his daughters. Just a gift. No loan. No condition. Nothing! A 25-year-old herbalist who was arrested along Ilorin-Ajase Ipo road with a sack containing the seven human heads, was paraded before newsmen by the Kwara State’s Commissioner of Police, Lawan Ado. Lawan disclosed that the suspect had allegedly exhumed the heads for ritual purpose, added that the police was on the trail of the second suspect who together with the suspect had committed the offense. 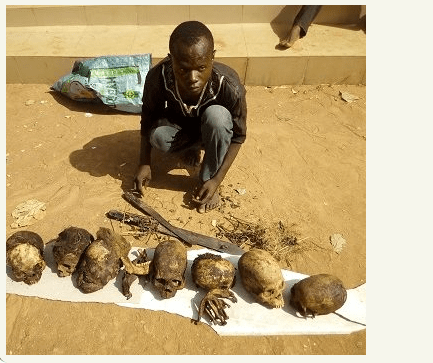 Confessing to the crime, the suspect said he exhumed the head-having a Muslim cemetery located at Igbo Owu community in the Ifelodun local government area of the state on Tuesday, for the money-making ritual. According to him, seven human skulls are needed for the ritual, as he further disclosed that the escaped suspect initiated him into the crime. The Police Commissioner said that the suspect would soon be charged to court, as soon as the investigation was concluded on the matter. He is one of the leading male artist within Europe. its an emotional love song, giving hope to lovers and to impact good memories in emotional love affairs. it is basically for lovers and to impress that one person that you truly love.